People pursue sewing for various reasons. For some, it can be a hobby, whereas for others it’s a means of livelihood. Some sew just once in a while to repair that worn off dress or to add an additional pocket to their kid’s shirt. Whatever the reason, we all sew fabric once in a while. While simple sewing tasks can be accomplished with the help of a needle and thread, it may not be the case with all. There are times when you need to sew fast or need a perfect stitch. This is where a sewing machine comes into the picture. Fast sewing: Unlike hand sewing which takes a lot of time to finish, machine sewing can be done very quickly. This is great when you’re in a hurry to finish a project or complete a pending sewing job. If you’re pursuing sewing as a business, then time is crucial. The faster you finish your task, the faster you can move on to your next project. When using a machine, since the thread and needle are already set, you can start and finish the job faster. Sewing by hand takes longer because you search for the needle and the matching thread- who has time for that? Stitching is neat and accurate: When using a sewing machine, the stitching is neat and accurate as the entire work is done by the machine. Once you thread properly and the thread tension is set right, you get accurate and neat stiches. This may not be the case with hand sewing as it’s purely manual work. Some stiches may be long whereas others may be short thereby affecting the overall finish of the product. Fancy stitches: It’s now possible to choose decorative stitches with a sewing machine. You can sew bindings, couch decorative ribbons and make beautiful laces using a sewing machine. It’s also possible to create a faux ribbon effect and beautiful embroidery within a matter of time. Such tasks might be difficult to accomplish and may take some time if done by hand. Sew heavy fabric: Heavy fabric like denim and wool can’t be sewn by hand. A sewing machine makes the task of sewing heavy fabric an easy one. This is important if you have a sewing business because accuracy and timeliness are very important. Sewing machines make use of double thread that makes the stitches stronger and durable. If done by hand, it can strain both your eyes and hands. By using a sewing machine, you can sew blankets, quilts and even trousers with ease. Multiple uses: Sewing machines can help you not just sew clothes. You can make various fancy products using a sewing machine. Does your child have a craft project for school? You can make fancy products within a matter of time. Soft toys, costumes for special occasions and recycled products are just a few of the products that can be made with a sewing machine. 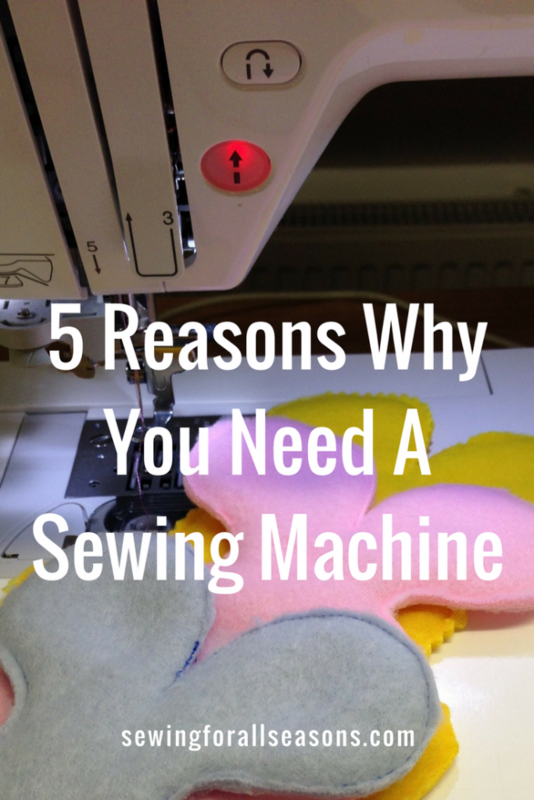 I hope these reasons have convinced you to invest in a sewing machine. Even as a beginner, you’ll find it beneficial to learn how to use a sewing machine because it will take your sewing to the next level. There are many different sewing machines on the market, depending on what you want to do with it. There are machines suited to beginners, and industrial machines suited to those who run a sewing business. There are many different brands available to suit all budgets. In the coming months, I’ll be reviewing some of the best and most popular sewing and embroidery machines on the market, so make sure you keep coming back here to check out the latest information to help you with your sewing journey! 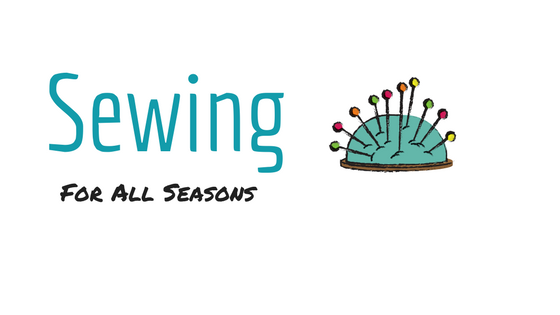 Sewing For All Seasons Copyright © 2019.